Science news has been a buzz about a whole posse of new black holes discovered in the constellation of Andromeda. The reason for this is not that these have suddenly been discovered, but rather that a new paper on results from Chandra is being published in the Astrophysical Journal last year, and the press releases have been published. 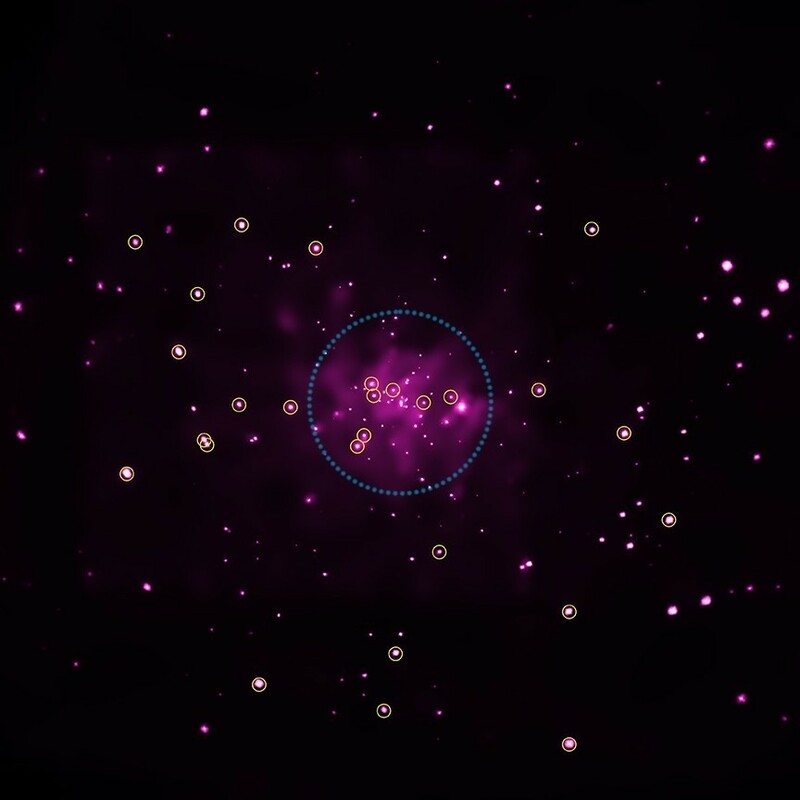 Chandra is an x-ray space telescope, which makes it particularly good at finding what are known as x-ray binaries. If you remember my post on microquasars earlier this week, you might recall that an x-ray binary is a binary system of a regular star and a compact object that is either a neutron star or a black hole. When these two are relatively close, material from the regular star is swept off and captured by the compact companion. As the material swirls it is heated so much that it gives off x-rays. The result are localized x-ray sources. Chandra made 152 observations of Andromeda over 13 years, and identified 26 candidate solar mass black holes. Confirming these is a challenge for two reasons. The first is that you have to confirm the x-ray source is actually in the Andromeda galaxy, and not further away and behind Andromeda. This is done by looking at the average brightness and the overall brightness of the x-ray sources. X-ray binaries all have somewhat similar brightnesses, and since we know the distance to Andromeda we know basically how bright they should appear. But it could be possible that a very bright supermassive black hole much farther away would have a similar apparent brightness, so astronomers have to look at the variation in brightness as well. Supermassive black holes are millions of times larger than a solar-mass black hole. Because they are bigger, the variation in brightness is much slower. So by looking at the brightness variation we can confirm that these 26 candidates are actually in Andromeda. The next challenge is to distinguish x-ray binaries that are black holes from those that are neutron stars. This is a bit less certain, because they appear rather similar. Because black holes are more compact than neutron stars, the x-rays generated by infalling matter tends to more intense for black holes than for neutron stars. But there isn’t a hard and fast line between one and the other. Of the 26 candidates, 12 were categorized as strong, meaning they are almost certainly black holes, and 14 were considered plausible, meaning they are likely black holes, but it’s possible they are neutron stars. Further observations should resolve that uncertainty. One of the interesting aspects about this study is that seven of the black holes lie within 1000 light years of the supermassive black hole at Andromeda’s center. You can see these in the figure above. This is a larger number than we’ve found in our own galaxy, and may tell us about the evolution of galaxies like ours. Another interesting observation is that 8 of the candidates are in globular clusters. We’ve long suspected that black holes could be found in globular clusters, but we haven’t observed any such black holes in our galaxy. 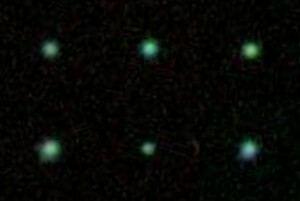 We now know that globular cluster black holes exist. “new paper on results from Chandra is being published in the Astrophysical Journal last year, and the press releases have been published.” Sorry? “is being published last year”? Temporal instability perhaps? Later in the post you wrote: “Because they are bigger, the variation in brightness is much slower.” How is a variation on brightness “slower”? It’s a case of not editing posts correctly. My morning posts are ones I’m currently writing. The ones that show up in the afternoon are revisions of year-old posts I did on Google+. I suppose instead of variation I should have said oscillation. The bigger ones oscillate between brighter and dimmer more slowly than smaller ones.